Trying to find the best ice packs for injuries can be such a daunting task. Which is why many of us simply use a drippy ice bag or frozen bag of peas. But what’s better, a bag of frozen veggies or a purpose-driven ice pack? You see, if you want something that will truly work for your specific needs, then what you need is a specially designed ice pack. Ice packs work best for pain relief as well as to prevent swelling after an injury. They come in different shapes and designs and picking the best out of the numerous brands on the market is usually a tough call. This is why you need this review of the best ice packs for injuries to help you make the best decision. But wait, what makes a good ice pack? You want something that works well and targets your specific situation. It is therefore important that you consider a few things before investing your hard earned money on the next available ice pack. 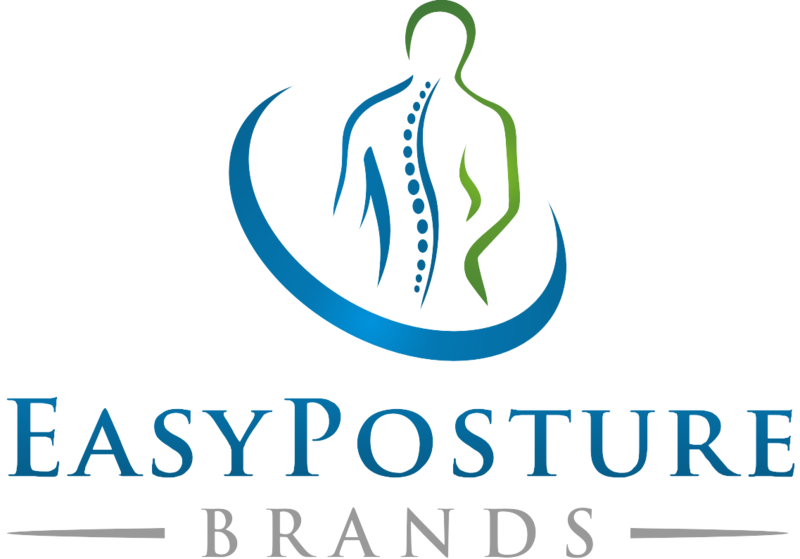 When it comes to buying the best ice packs, you want something that will fit nicely and mold to the area you want it to cover. Pay attention to the material that the ice pack is made of. You don’t want something that will continue to drip, leak or perspire on you while using it. Durability is another important factor. Reusable ice packs for injuries come to mind. As cheap as these things may be, it’s still expected that you’ll want good value for your money. You also have to consider versatility. To ensure you’re able to treat different injuries properly, you may consider keeping different varieties of ice packs. Fortunately, they are very much affordable and won’t cost you an arm and leg. A lot of people often ask where to buy ice packs for injuries. Lucky for you, we've reviewed several of the best ice packs sold online. 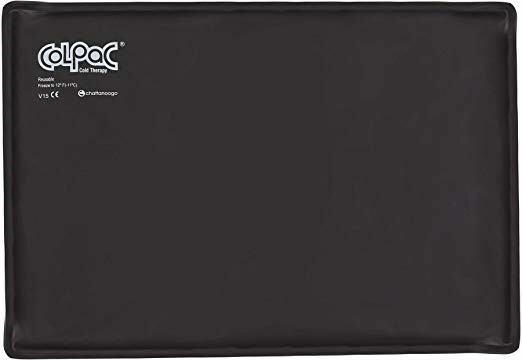 Many of these type of ice packs are available on sites such as Amazon, Wal-Mart, as well as on the websites of many of the product manufacturers. This ColePak Comfort reusable gel pack and ice wrap ticks all the boxes in the right place and it’s a must-have if you need something you can easily use and reuse conveniently. The ice pack from ColePak Comfort is everything you’ll want in a perfect ice pack and recommended for use by physicians, physical therapists, chiropractors, and moms who love their kids.
" 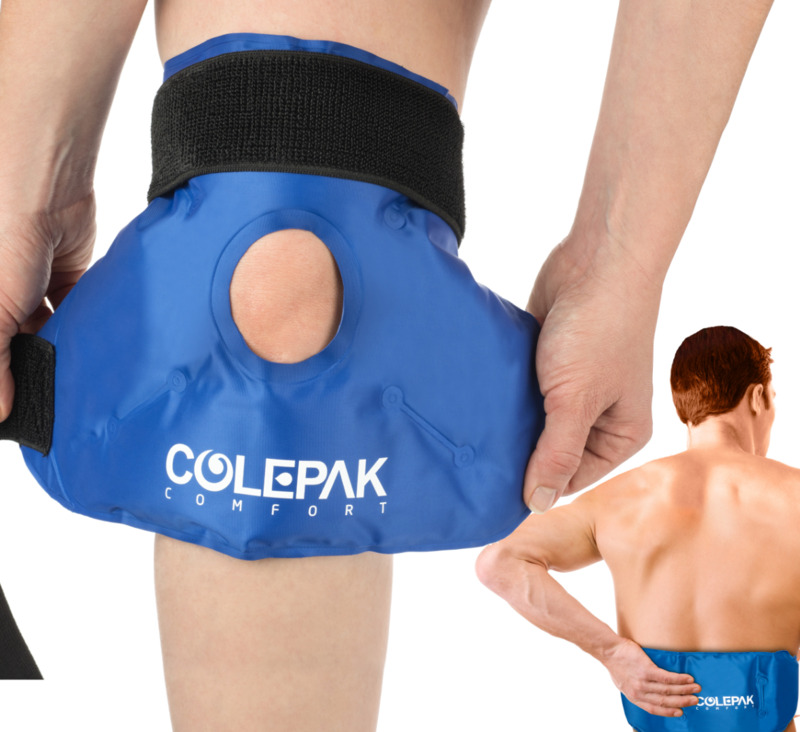 We bought this ColePak Comfort Ice Pak for my husband who recently had knee replacement surgery. He has been very pleased with the ice pack and it is a great idea to sell them in a pair. While one is in the freezer you can use the other." "I've had a meniscus problem for about eight months and finally went under the knife yesterday. 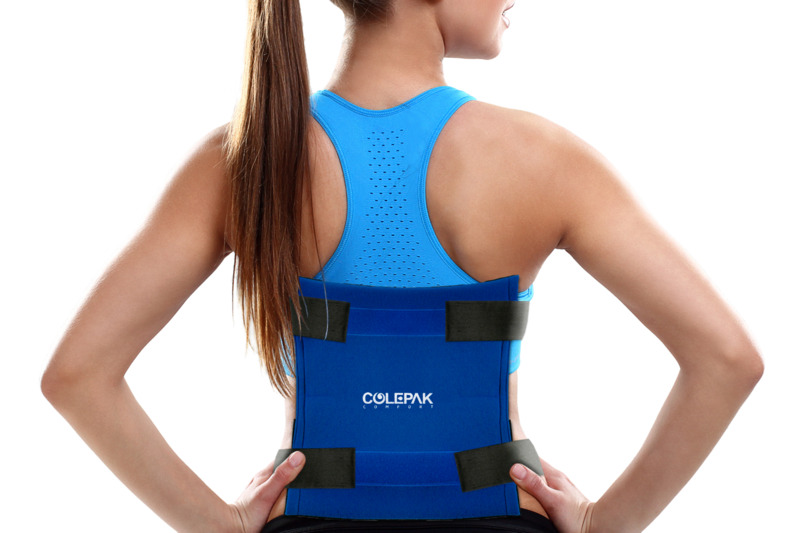 When I injured myself training for a long relay run I bought the colepack. It was great. The packs stayed cold for a long time and the band held tight on my knee. I would ice my knee after every run which post relay was about once a week. 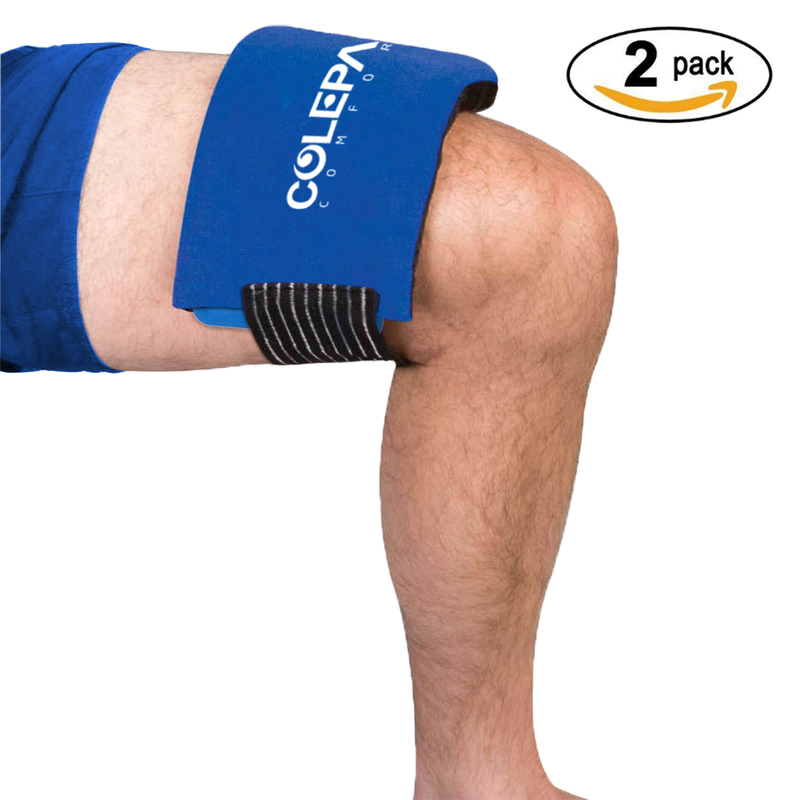 Because I'm icing the knee every 20 minutes now I bought a second colepack." This Ohuhu ice bag sports a traditional ice bag design and is, in fact, one of the best reusable ice pack for injuries. It’s super easy to clean as you’ll drain the water out. However, you’ll need to fill it up after each use. Fits and mold nicely due to the balance between the weight of the water and the bag’s size. The weight of the bag makes it feel cool and soothing to use. The Chattanooga ColPac is no doubt a big deal as far as cold therapy is concerned. Along with being perfectly suitable for use in first aid, it is also designed for heavy clinic use. Its effectiveness for pain relief is why it’s easily one of the best ice pack choices available today. 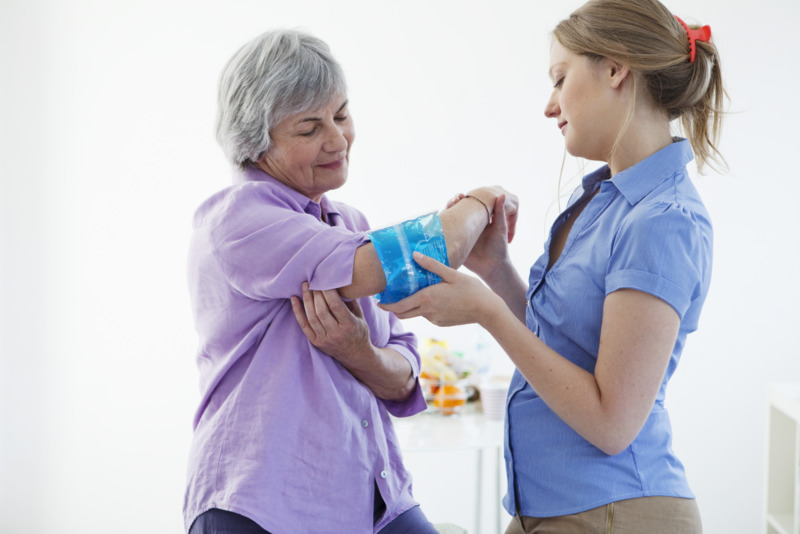 Aside from sudden injuries, cold therapy can also be used to reduce pain in several other instances. These round reusable gel packs by Icewraps may not be the best for injuries but will easily work as therapy for headaches, sinus relief, pulled teeth, tired eyes, etc. The package contains five small packs which you can easily isolate to the area of intended use. Because of its effectiveness, these gel packs have earned a spot in this review as one of the best ice packs for injuries. Rounding off our top five list of the best ice packs for injuries is the very impressive Large Gel Ice Pack by ColePak Comfort. By no means the least effective, this ice pack is best known for its XL size and its ice wrap to wrap around large areas of the body. Constructed for daily use and durability. Contains non-toxic silica gel. The best feature is the soft fabric ice wrap to insert the large gel pack and acts as a barrier to prevent direct skin contact with the ice pack. Once again, this ticks the boxes at the right place making it one of the best reusable ice packs for injuries as of today. 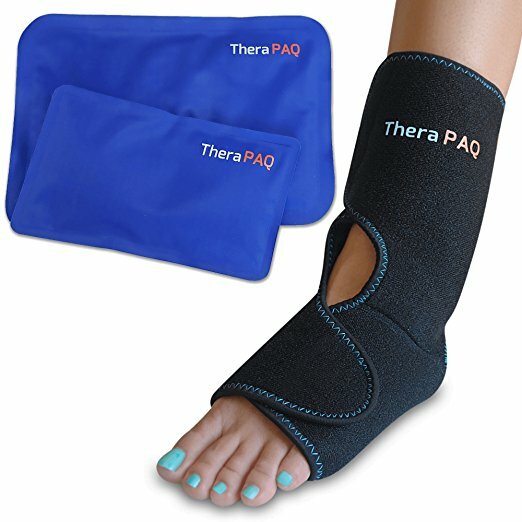 To relieve pain and swelling from various foot conditions such as plantar fasciitis, sprains, Achilles' tendon pain, heel spurs, fractured foot, foot surgery, or foot pain, the this foot and ankle ice wrap is perfect to reduce swelling and provide soothing relief from for aching feet and ankles. Made of breathable neoprene material with two inside pockets to insert the gel packs. One pocket covers the back of the leg and the other pocket covers the bottom of the foot. Do you suffer from knee pain or back pain? 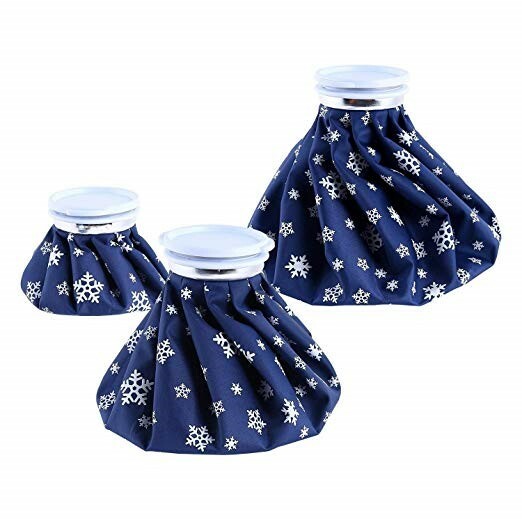 Are you looking for an ice pack for your knees after having knee surgery? This dual combo pack includes a back ice pack and knee ice pack to wrap around your knee or back and stay in place while still walking around. Targets the area to reduce swelling and provide soothing effect. Great for knee replacements, back injuries, post surgery, torn ACL & meniscus, runner's knee, herniated discs, muscle aches, strained muscles, or sore knees. Should you decide to buy an ice pack soon, you’ll find either of the above choices very effective. However your choice should be based on your type of specific injury to better target the affected area. Currently, most people appear to favor gel packs that can be used with an ice wrap so that you will be able to walk around while icing. They love the convenience factor while treating the affected area. Either way, we hope that our top picks will assist you in deciding which ice packs are best for you!